It seems like practically every day a new scandal is spotlighted in the media regarding ethical misconduct. For example, recently celebrity chef Paula Deen quickly lost several corporate endorsement deals because of revelations that she engaged in behavior that reflected views of bigotry and discrimination. Other scandals, like Enron on the other hand, were just as shocking because what appeared as a highly ethical organization was, in fact, quite the opposite. It is not clear whether Deen will survive her scandal, but because of Enron, regulatory measures were implemented to prevent another occurrence of this nature. Ferrell et al. (1998) suggested that because of events like Enron, the federal government intervened to help guide the ethical conduct of organizations and institutionalized ethics as a preventative measure to prevent corporate legal violations (Ferrell, LeClair, & Ferrell, 1998). This research is focused on three significant regulatory measures: (a) The Federal Sentencing Guidelines for Organizations (FSGO), (b) The Sarbanes-Oxley Act of 2002, and (c) the Consumer Financial Protection Bureau (CFPB). This study identifies the events that led to the development of these measures and scrutinizes the impact these directives played on business ethics. In addition, case examples are included to highlight how these mandates affect ethics in business. The results of these findings conclude that in a business arena, leaders who navigate without regulations are conducive to ethical misconduct. When regulatory measures are implemented, they have a great impact on the ethical manner in which organizations behave and operate. Ethical compliance programs are more of a process and a commitment from organizations to practice ethical behavior than they are specific blueprints for the direction of ethical conduct. In this context, regulatory measures serve to help leaders achieve positive outcomes with social awareness and accountability. Ferrell et al. (1998) pointed out that today’s leaders are dealing with complex issues that require effective leadership skills. 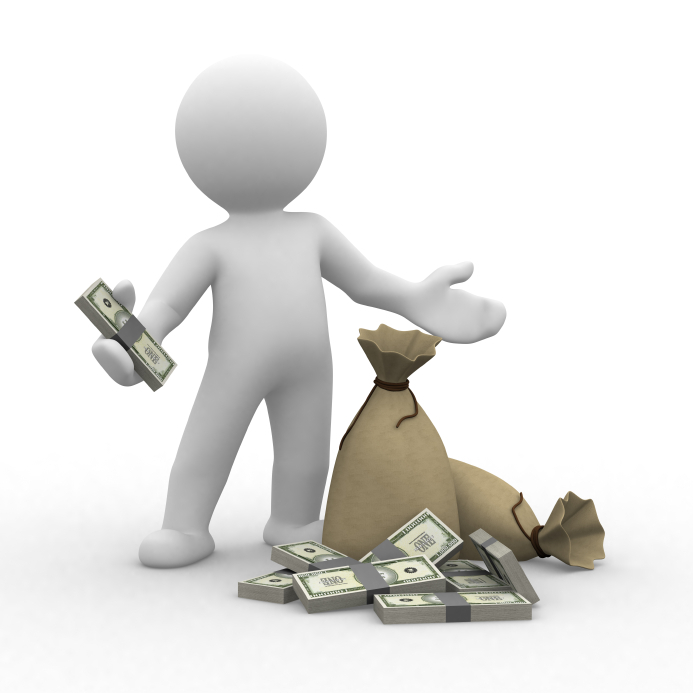 For example, managers are required to identify, comprehend, and implement the acceptable use of corporate funds; recognize the falsification of important documents and account records and pinpoint controversial techniques sales representatives use for closing deals. These are some of the common challenges managers face in the modern workplace. In addition, competition, political pressure, and different value systems also influence ethical conduct (Ferrell, LeClair, & Ferrell, 1998). Organizational ethics programs are established, therefore, to outline the parameters of accountability and responsibility with respect to acceptable business conduct. For instance, news reports revealed unethical practices in the grocery industry where, in some cases, managers will re-date food products to extend a product’s shelf life. This kind of ethical misconduct is identified as a white collar crime (WCC) and as a result, the government responded by issuing the Federal Sentencing Guidelines (FSG). The goal of these mandates was to reward organizations for implementing legal and ethical compliance programs. They were created to encourage corporations to monitor internal control systems by decreeing punishment and restitution should the systems fail. For example, to demonstrate compliance, a company is required to create and document an internal conformity program by demonstrating their ethical culture. In addition, the legal standards are communicated throughout the entire organization to make sure violations do not occur. If and when they do occur, management must provide evidence that a proactive compliance program was implemented. In short, the main objectives of the FSGO are to take aggressive actions to police and self-monitor an organization’s ethical behavior to avoid unethical acts and punish perpetrators that are engaged in WCC and misconduct. The penalties for violating these mandates include the remedy of any harmed caused, are subject to stiff fines, and include any further actions required to reduce future criminal misconduct. When corporations display unethical conduct that affects the public on a grand scale, the government is forced to step in to enforce penalties that will influence social responsibility. For example, the Enron financial disaster was one of the most significant events that occurred to rattle the modern business world. It revealed a level of corruption in the business arena on an unprecedented scale. For example, to many individuals, business ethics are considered different than individual ethics. Because of this perception, Enron staffers that were cognizant of the firm’s off-balance partnerships accepted these practices as part of doing business in a competitive market. Because they were informed these partnerships were legal, employees did not perceive this conduct as an issue of ethics. Bredeson & Prentice (2010) explained that in order to avoid this happening again, the Sarbanes-Oxley Act (SOX) was developed and imposed the most important security mandates since the great stock market crash of 1929, which led Congress to pass the original federal securities laws. SOX consists of provisions that: (a) created a new federal agency, (b) restructured the entire accounting industry, (c) implemented Wall Street practice reforms, (c) created extreme alterations in corporate governance practices nationally and internationally, and (d) attacked insider trading and obstruction of justice (Bredeson & Prentice, 2010). Since then, to support these laws, the Public Company Accounting and Oversight Board (PCAOB) was developed and, together with the SEC, issued additional rules and policies to implement SOX’s many regulations. In addition to enforcing corporate giants to revamp their governance practices, the PCAOB was also designed to protect whistleblowers. Boatright (2009) suggested that protection to private sector employees who acted as whistleblowers was a significant issue that SOX addressed for the first time. In other words, as a result of the massive fraud events from Enron, WorldComm, and other conglomerates, this reform prevents the retaliation from corporate institutions against any employees that provide law enforcement evidence which relates to the exposure of trade commission offenses (Boatright, 2009). However, the immediate purpose for SOX was to restore stakeholder confidence in the securities market once again. Experts contend the only significant complaint leaders have about SOX is that post-Enron, SEC accounting rules require market to market estimations. This practice forces financial institutions to revalue assets in situations where the value is not easily ascertainable due to pricing fluctuations. All in all, most leaders agree that despite the additional costs and extra energy required to ensure big corporations adhere to these provisions, SOX effectively enforces best practice policies in both the corporate and accounting worlds. The mortgage and loan crisis of 2008, where lenders failed to educate brokers about the disastrous consequences of falsifying financial data to help people secure loans, contributed to organizational misconduct in the financial services industry. As a result, the government stepped in once again to take more regulatory measures by outlining the legal framework to help guide ethical practices in the financial service industry. Carpenter (2012) contended that as a result of that crisis, Congress was forced to pass significant reforms through a new regulatory system called the Dodd-Frank Wall Street Reform and Consumer Protection Act. This act entitled stakeholders financial protection and established the Financial Protection Act of 2010 (CFP Act). 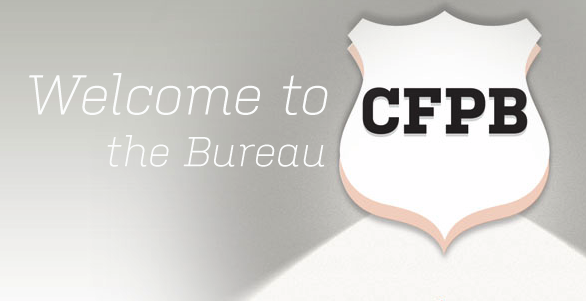 The CFP Act in turn served to help establish the Consumer Financial Protection Bureau (CFPB or Bureau) within the Federal Reserve System (Carpenter, 2012). The Bureau was designed to oversee and provide the rulemaking, enforcement, and supervisory powers over a wide range of consumer financial products and services as well as the institutions that sell them. The laws also enable the Bureau principal rulemaking authority over many federal consumer protection laws that were enacted prior to the Dodd-Frank Act. Among the numerous consumer protection laws developed were the Truth in Lending Act and the Real Estate Settlement Procedures Act. These directives were designed to help stakeholders comprehend the complicated lending transactions they engage in with more transparency and accountability. In short, the Bureau serves as a system for bank supervision to ensure corporations are in compliance with federal consumer financial protection laws and make sure the markets work for families rather than bankrupt them. In 2011, the Bureau reported their operations included the assessment of each institution’s internal ability to detect, prevent, and remedy violations that may harm consumers by examining the corporation’s internal procedures (CFPB Public Affairs, 2011). These mandates and regulatory measures serve to insure that corporate moguls follow ethical governance practices to avoid further financial disasters from occurring in financial service industries. The law is ubiquitous. 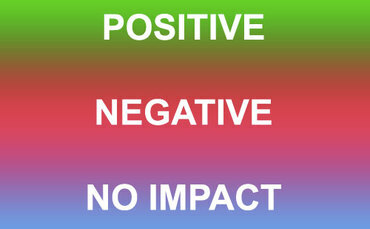 It enables, prohibits, and regulates practically every activity of a human being directly or indirectly in some way. Mann & Roberts (2013) purported that in an effort to resolve moral issues, experts have struggled for years to fine tune various ethical behavioral systems. 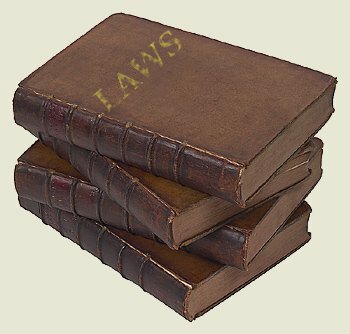 Laws were created to help define relations between individuals and corporations. These relations have an effect on the economic and social order and are the products of civilization’s governance practices. In this respect, the law is designed to reflect the social, political, economic, religious, and moral principles of a society (Mann & Roberts, 2013). In other words, laws are used as tools for social control. Their function is to regulate and guide conduct in human relations. When corporate leaders misuse their power, government agencies step in to create mandates that outline acceptable and ethical conduct which protects people and keeps the public safe. Ferrell et al. (2013) contended that these regulatory measures provide motivation for organizations to develop core practices throughout their organizations to ensure ethical and legal compliance and are designed to move emphasis away from an individual’s moral obligations. Instead, focus is put on the development of structurally sound organizational core practices and structural integrity for both financial performance and nonfinancial performance purposes. These methodologies include access to communications, compensation, social responsibility, corporate culture, leadership, risk, stakeholder perceptions, and the more subjective aspects of earnings, corporate governance, technology, and other significant areas (Ferrell, Fraedrich, & Ferrell, 2013). The findings of this research deduce that regulatory measures implemented by the federal government have played a significant role in the development of ethical behavior in organizations because time and time again, history proves that many influential leaders who are motivated to achieve high levels of success, and operate without regulations, are unable to avoid the temptation to engage in ethical misconduct when the stakes, profits – especially when competition in the marketplace is extraordinarily high. Bredeson, D., & Prentice, R. (2010). 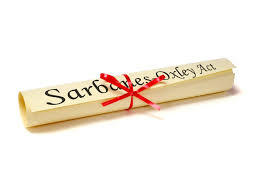 Student guide to the Sarbanes-Oxley Act. Mason, OH, USA: Cengage Learning. Carpenter, D. (2012). The consumer financial protection bureau. Washington, DC, USA: CreateSpace Independent Publishing Platform. Mann, R., & Roberts, B. (2013). Business law and the regulatoin of business. Mason, OH, USA: Cengage.